LOL: Disney Imagineers Built the Creepiest Donald Trump Animatronic Ever — Condition Yellow: Stay Alert. Stay Alive. Disney is known the world over for their obsession with perfection when it comes to entertainment, especially at their theme parks. Every ride, every attraction, every detail is carefully tailored by their Imagineers to provide their guests with a one-of-a-kind experience. Of course, Disney is also known for their leftist biases, which naturally extends to a healthy portion of their employees. 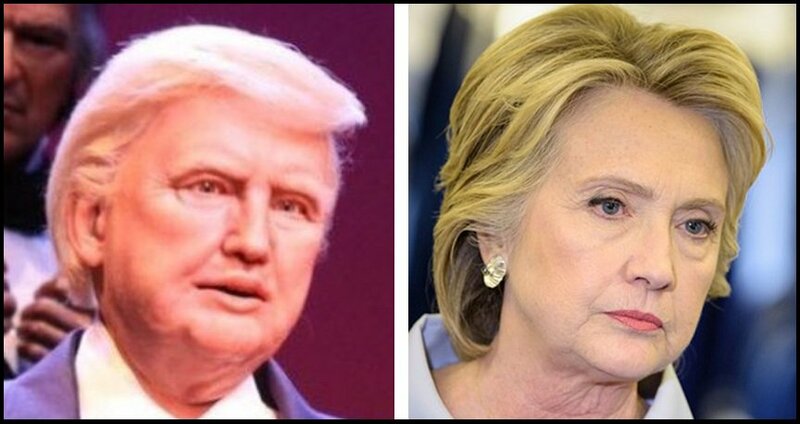 The left's universal hatred for Donald Trump seemingly manifested itself when Disney Imagineers were assigned our 45th president as a new animatronic project to be included in the 'Hall of Presidents' attraction at the Magic Kingdom in Florida. Disney World’s “Hall of Presidents” in Orlando, FL reopened today after the Imagineers at the Magic Kingdom spent a year conjuring up an animatronic Donald Trump. The robo-Prez is flanked by his 43 predecessors as he delivers a speech that’s incredibly creepy if only for its lack of characteristic Trump mannerisms familiar to anyone who’s watched him speak. To Disney’s credit, however, it’s all very patriotic. On the bright side, at least it's a shoddy Donald Trump on stage rather than a perfectly made replica of Hillary Clinton (who, as Ben Shapiro once put it, does a "passable impersonation" of a human being). We shudder to think of the state our country would be in with her at the helm.